The casual West Coast aesthetic is celebrated in Safaviehs dramatic California Shag collection designed for added luxury with a super dense pile weight of 4.5kg per square meter. This wonderfully soft carpet is power loomed of polypropylene yarn for outstanding quality and an unusually plush texture and softness underfoot. This is a great companion for your home whether in the country side or busy city. Vacuum regularly and spot clean for hard-to-remove stains, professional rug cleaning is recommended. 6 ft. 7 in. X 6 ft. 7 in. This Safavieh Courtyard area rug infuses contemporary style into any room in your home. Decorate the right way with this indoor/outdoor piece constructed from plush synthetic material. Its machine-made construction is sure to endure the constant treading of feet and furniture. Quality and style come first with this geometric patterned beige tan rug. Interior design made simple with this contemporary Safavieh Courtyard area rug. Decorate the right way with this indoor/outdoor piece constructed from plush synthetic material. High-quality and high fashion, this machine-made rug is perfect for you. Quality is assured with this geometric patterned beige tan rug. Add this Safavieh Courtyard area rug to your hallway, dining room, or living room for an infusion of style. Decorate the right way with this indoor/outdoor piece constructed from plush synthetic material. This machine-made rug is durable and modern. Quality and style come first with this floral plants patterned beige tan rug. 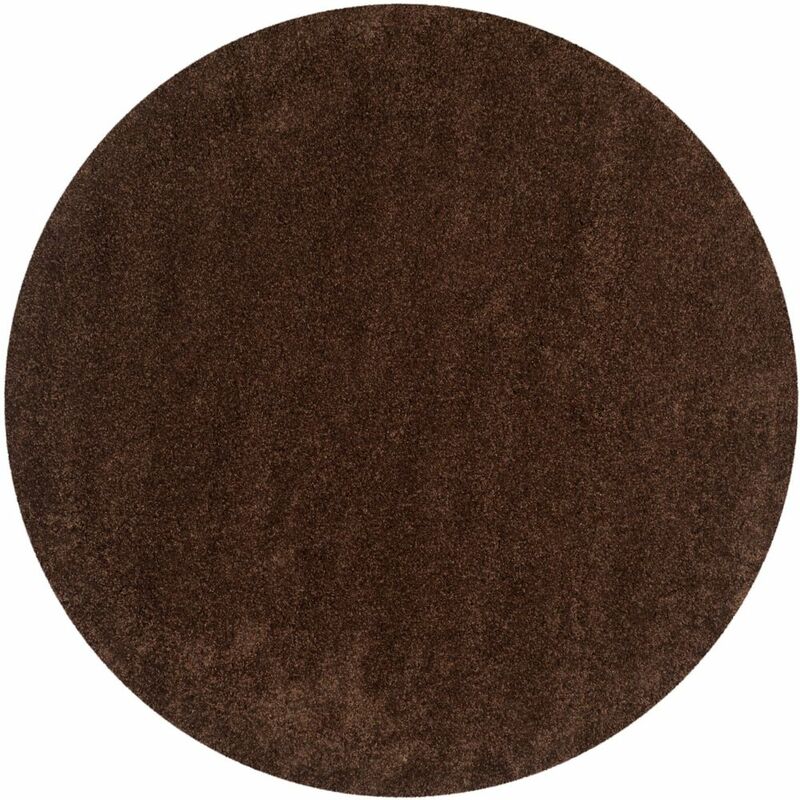 Shag Felicia Brown 6 ft. 7 inch x 6 ft. 7 inch Indoor Round Area Rug The casual West Coast aesthetic is celebrated in Safaviehs dramatic California Shag collection designed for added luxury with a super dense pile weight of 4.5kg per square meter. This wonderfully soft carpet is power loomed of polypropylene yarn for outstanding quality and an unusually plush texture and softness underfoot. This is a great companion for your home whether in the country side or busy city.